SKU: 0179. 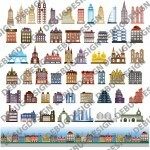 Category: Space and futuristic, Scenes, Platformers, Buildings, Backgrounds. Tags: alien, background, sci-fr, ship, space station, spaceship. 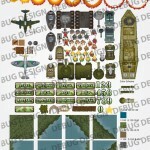 15x fantastic repeatable space ship (or space station) tiles ideal for side scrolling games. 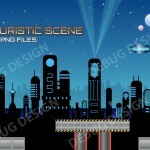 These 256×256 panels can be used to create long sci-fi themed levels from Jetpack Joyride style games to platform games. The window assets come in two styles. 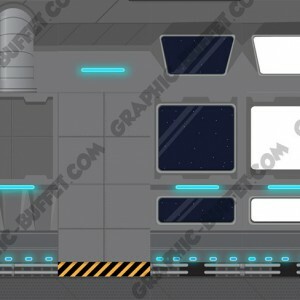 One has a space scene in the background and the other is transparent so you can add any background you like making it a warehouse, building or even a train. Here is a video of them in the background; Robot is not included… that will be online soon.